They are very good quality. other than being too small (not CT's fault) the pockets are so shallow as to almost useless. Why, oh why cant manufacturers charge an extra 50p and have decent deep pockets. Not available in size 29, so I tried 30, but too long, so they've gone back for refund. 29 is not an unusual size after all! Stock wasn't available in either of my preferred colours, so I reluctantly chose dark blue. I was surprised at the unavailability as the new Spring catalogue has only just arrived.. 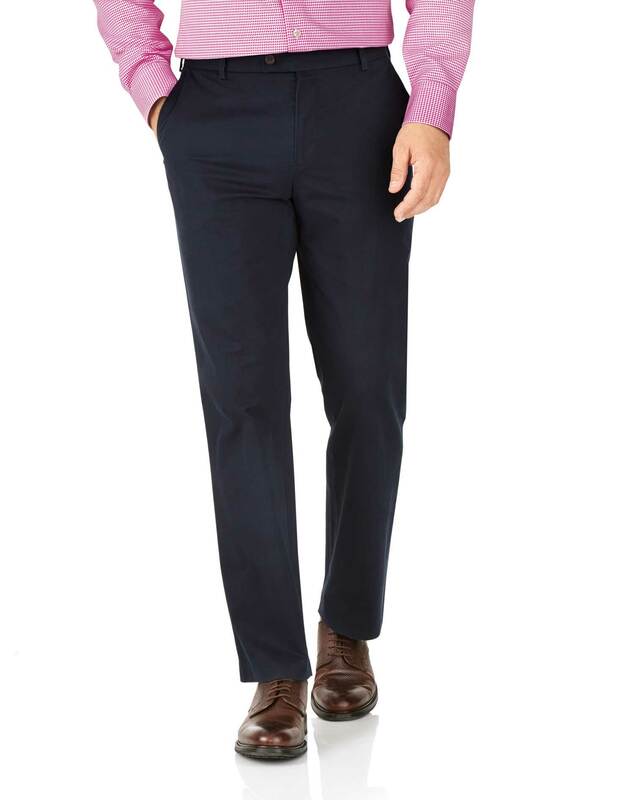 Response from Charles Tyrwhitt: I am sorry that you were not able to order our stretch chinos in both the colours chosen and size required. Here at Charles Tyrwhitt, we do try our best to keep our warehouse full with stock however, it can sometimes be a little tricky to forecast demand – especially with the sizes and colour combinations. I must advise you that unfortunately, we do not stock a 29 inch inside leg in our chinos/trousers. We do, however, have a tailoring service in which we will shorten and finish the trouser at your desired length for a cost of £9.95 per item. I have made sure your comments have been shared with the relevant department to ensure that we can review this and minimize this occurrence on your next purchase. good fit, they could sit a little lower on the waist.